What’s stopping you from getting rid of your junk? Is it the fact that some of the things you want to toss out are too heavy? Maybe those items are down in the basement and you would have hard time bringing them up the stairs. Perhaps you can’t get rid of your junk because you don’t have a truck big enough to take it all away. It could also be that you wouldn’t know where to take it. All of those “challenges” are easily handled by Junk King. These are the professional junk haulers to take the hassle out of getting rid of your clutter. “Fast, efficient and courteous. Good prices. Love being able to easily book an appointment on line plus receive a discount for doing so. Our second time using Junk King and will use them again. Love the Junk King!” writes Michael Raabe of Littleton. Most of the success of Junk King is built on positive word of mouth. It also comes from loyal repeat customers. As Michael points out, when you book online, you might be entitled for a discount. You’ll get the same prompt response and efficient junk removal. “I have used Junk King twice – once for person disposal and recently for removal of office furniture. I was very happy with the promptness and level of professionalism of your staff,” posts E.L. from Wheat Ridge. Yes, you can set up a junk removal session with Junk King for all kinds of reasons. Emptying out your garage is a good place to start. That way you’ll be sure to get your car parked in there before the next snowfall! Businesses often turn to Junk King to not only remove office furniture but also office equipment. Those old printers, monitors and fax machines will be dropped off at an e-waste recycling facility. That way they’ll be disposed of the right way. In fact, Junk King will do that with all your junk! Want to take care of junk removal without the hassle? Then Junk King is the only way to go. This entry was posted in junk removal and tagged Junk King, junk removal on January 31, 2016 by Paul Durant. Last updated August 15, 2017 . It’s no secret that the majority of happy Junk King customers are homeowners. These are the folks with the most room and that usually translates into the most junk. However, Junk King can also do some amazing things around an apartment. If you want help with a clean out of your living space, then Junk King is definitely the way to go. By design, apartment living is a lot smaller than home living. That makes any kind of storage space a premium. Renters often take creative measures when it comes to finding places for things. This includes hanging bikes on the wall, having beds with built in dressers drawers on the bottom and building shelves above doorways. Every space is utilized. Another helpful approach would be to get rid of all those things you don’t use or are simply outdated. For that job, you can count on Junk King. It doesn’t matter how high up your apartment might be. The two-man crew assigned to your junk removal will happily climb those stairs. This is the same team who is going to carry out whatever you want removed. Suppose you only want to get rid of a few boxes or an old computer. Will you still get two movers? Of course. That’s just how Junk King rolls. When they are done taking the stuff from your apartment, you can also help them clear out a storage locker in the garage. This can make a huge difference with regard to keeping the things that matter. Everything that is collected by Junk King will be sorted by the crew back at the depot. They’ll be pulling out any item that could be put back into circulation by a local charity. This is Junk King’s eco-friendly disposal policy and so far, it has kept tons of trash out of area landfills. That’s great news for the environment and for lowering your carbon footprint. As for the cost of this service, you won’t have to worry about removing something heavy. Junk King never charges by the pound. Instead, they will present you with an estimate based on volume. It’s all about how your stuff will be packed on the truck. When you agree to the price, the crew will get busy. One call to Junk King can have your Denver apartment clean out taken care of in no time at all. This entry was posted in junk removal and tagged apartment, clean out, Junk King, junk removal on January 24, 2016 by Paul Durant. Last updated August 15, 2017 .
Who doesn’t want a beautiful and big house with green garden and a spacious backyard? The only concern that strikes our mind is its maintenance. You always want someone who is trained to do so as you alone can’t provide the time and effort it requires. Luckily now, yard waste removal in Denver, Colorado is possible just a phone call away. Yes, Junk King are now at your service whenever you want. Junk King is a professional company and they are thorough in everything that they do. They have a team of specialized persons who are capable of garden waste cleaning services. They are thorough in everything that they do. The idea is to provide customers with high quality services that meet customer expectations. Time along with quality is the mainstay of their services. The team arrives at your place within two hours of booking and they ensure that the task is completed within the time window provided by you. With reasonable prices and safe yard waste removal services, they have gained high regard in the market. Keep your gardens and backyard clean on a regular basis with Junk King. This entry was posted in Denver Junk Removal on January 17, 2016 by Paul Durant. Last updated August 1, 2017 . You always want a professional to take care of all your needs. When it comes to cleaning junk from home, you are okay with amateurs. Here’s a warning. That can prove harmful because amateurs often tend to harm other things in the house or even hurt themselves. Therefore, hiring a professional junk cleaner is highly recommended. 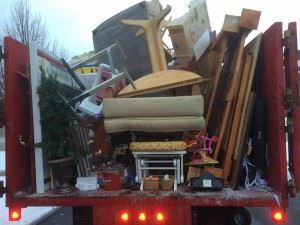 You can engage the services of professional junk removal services in Denver, Colorado who are known for their high quality services. The professionals offer professional junk clearing and removal services at the convenience of your home. These companies have a team of people who come with a truck to tow away your trash. Equipped with all items required to clear your trash, you don’t have to bother about anything when you hire them. One of the most popular junk removal companies these days is Junk King. Known for their door-to-door services at low costs, they have gained a name in junk removal. Once your trash is taken away, they assure it ecofriendly and safe disposal. Sometimes we also recycle the waste or send it for donation. We are professionals at an affordable price and we are just a phone call away. Keep your home clear of unnecessary junk at all times with our unique services. This entry was posted in Denver Junk Removal and tagged Junk Cleaning on January 11, 2016 by Paul Durant. Last updated August 1, 2017 . “Oh wow! That big flower vase looks beautiful! But we already have a vase like that at home. Don’t worry honey, we can keep that old one in backyard”. So casually we fill up our backyards with junk as we keep buying new things. The solution to all that junk piling up this is easy now. Junk King is now in your city. We offer junk hauling in Denver, Colorado at convenient rates. Customers simply have to make a phone call and ask us to clean their backyard. We do it with professional equipment, which ensures the junk is cleared safely. All of this is done by trained workers who come to your doorstep. Our junk haulers have ample experience to clean up heavy and sharp objects as well as bulky items. Our rates are the best in the market because we value your money. So we estimate the cost before we begin working. Only once you approve the cost do we go ahead with the cleaning. Keep your home free of junk and trash with the assistance of Junk King. Customers hire us on a regular basis to ensure that their home is clutter free at all times. This entry was posted in Denver Junk Hauling and tagged junk haulers on January 7, 2016 by Paul Durant. Last updated August 1, 2017 . 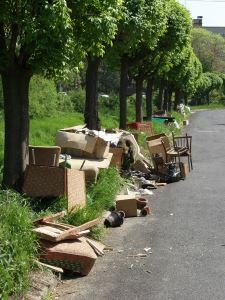 Have you often thought about getting rid of the heaps of junk in your backyard? Does the thought alone exhaust you enough to postpone it? Now, it’s easy to do that with Junk King. We offer the best junk removal services in Denver, Colorado. This is possible with a team of thorough professionals who have been in this service for years. They have all the equipment and expertise required to clear junk in little time. All you have to do is to call us and say “take my junk in Denver, Colorado” and we will be ready to service you. We have a very smooth call center that is easily contactable. They ensure that your request is taken down accurately and completed in time. A team is sent with all the required equipment and a truck to take away large volumes of junk like furniture items or white goods. The charges are estimated based on a site inspection. Only once you give the go ahead do they start working to remove the junk. We have an efficient team of cleaners who deliver quality and timely services. They leave the place clean for future use. This entry was posted in Denver Junk Removal and tagged Take Away Your Junk on January 2, 2016 by Paul Durant. Last updated August 1, 2017 . With the rise in new constructions, the need for commercial junk removal in Denver, Colorado is also increasing. If you are a builder or construction agency you must be aware of the pain required when you want to remove debris from construction sites. While junk is an inevitable byproduct of these sites, it is also unwanted. Not only does junk hamper the overall speed of the project, it also blocks precious space that could be put to better use. But now, we have a professional solution to this. Junk King offers a range of commercial cleaning solutions, which makes it easy to clean construction sites in a jiffy. We provide you efficient and reliable services for commercial junk removal. We value your time so we come only according to your convenience. You have to just call us and book the time. We have been doing it for years and our team is efficiently trained to do so. We get you the best results in the most economical way. Junk King also ensures that all the waste is disposed in the most eco-friendly manner. We provide you with the best service with a team of trained staff. They take care of everything from the word go so you don’t have to worry about anything. This entry was posted in Denver Construction Debris and tagged commercial junk removal on January 1, 2016 by Paul Durant. Last updated August 1, 2017 .